G. L. M. W. - U.S.A.
A.F. & A.M. - U.S.A.
Soberano Santuario de los Estados Unidos Mexicanos del Antiguo y Primitivo Rito de Memphis-Misraïm. Sovereign Sanctuary of Greece of the Ancient and Primitive Rite Memphis-M.
Grande Oriente Maconico indipendente do estado de San Paulo GOISP unido a la ‘U.M.S.O.I. Unione Massonica Stretta Osservanza Iniziatica ‘. Lausanne, Switzerland. 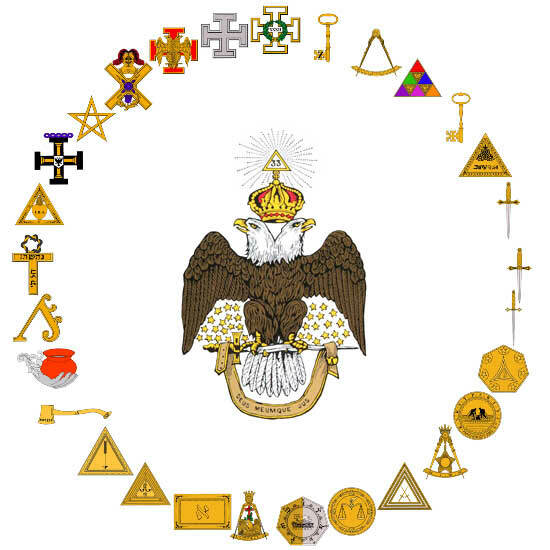 The creation of the Confederation of European Supreme Councils represent a significant action of the Ancient and Accepted Scottish Rite in Europe, one of the highlights since the 1875 Congress of Lausanne and until now. The new structure is committed in bringing together the European Supreme Councils, organize regular events, promote the primacy of the Ancient and Accepted Scottish Rite and the sovereignty of the Supreme Councils, promote cooperation etc. The Ancient and Accepted Scottish Rite of countries such as France (Jean-Luc FAUQUE, President), Germany (Eberhard DESCH, Vice President) and Romania (Constantin IANCU, Secretary-General), together with Switzerland, Spain, for Italy It is delegated the presidency UMSOI , Greece and Portugal, engages in a project designed to support the European and Masonic ideas and values at a continental level​​.